It seems like the whole world is a buzz with cryptocurrency speculation. Will it really be the new form of currency exchange that will take over everything that we’ve ever known about currency? Depends on whom you ask. But either way, cryptocurrencies have attracted the attention of investors all over the world and at every level of investment understanding and proficiency. It’s brought many questions to the forefront for investors like how can we regulate the crypto industry? What are the legal ramifications of crypto? How do we tax crypto? The IRS doesn’t even recognize crypto as a currency. Rather they see it as a possession. So in order to correctly figure out how to tax crypto, one needs to figure out what their cost basis is which brings up some more challenges. Calculating the basis for any crypto can be a challenge. It’s not hard to figure out what the initial basis in a crypto is. 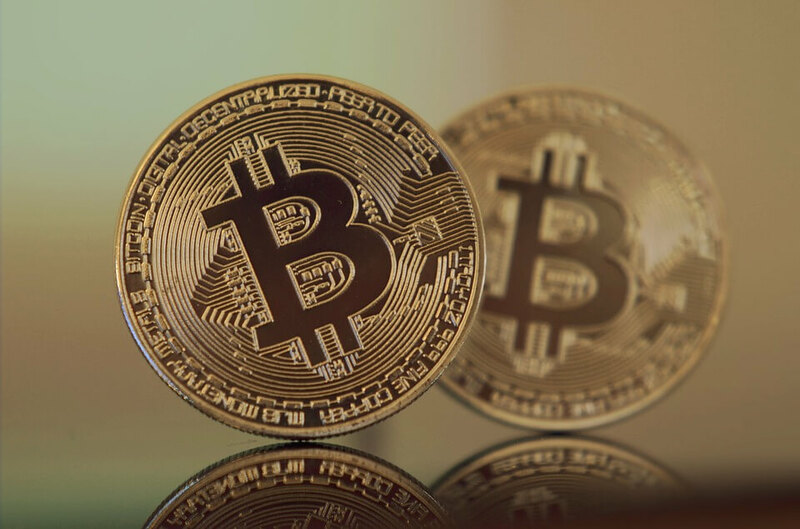 For example if you used $5,000 U.S. dollars to purchase Bitcoin (BTC) then your initial basis for the investment is the flat $5,000. Pretty straight forward and makes a lot of sense. That’s pretty much where the easy part ends though because beyond the initial basis, calculating crypto can be an absolute nightmare and is not for the faint of heart. Let us show you what we mean. The confusion starts to happen and things become complicated when investors start exchanging one crypto for another. With the addition of so many new types of cryptos hitting the exchanges on a daily basis (it seems) there are a lot of cryptos that can’t be purchased using a flat currency like the U.S. dollar. Instead, the U.S. dollar needs to be used to purchase a crypto like Bitcoin (BTC) or Ethereum (ETH) and then those cryptos are used to trade for the new crypto in question that can’t be purchased using flat currency. If you are trying to calculate a basis for a crypto then these types of exchanges in crypto are important to understand and calculate. What we see here is that one capital asset is being disposed to acquire and purchase another. Whenever this happens, a taxable event is created because you disposed of the first crypto and now there is a new crypto that will need it’s initial basis calculated. But how does one do that when during the entire process no cash has been exchanged? And how does one take into consideration the tumultuous swings of the crypto market? On any given day Bitcoin may trade for $5,000-9000 with wild swings in between. The new crypto you are trying to purchase or trade for may swing between $9000-12,000 or $2.00-7.50 with everything in between. Depending on when the exchange was made, those numbers can vary greatly and so far the data recovered from different exchanges is not that helpful or even sufficient to really pinpoint what the exchange rate between USD/BTC was when the trade was made. It’s made savvy investors make their own ways of trying to keep track of the exchange rate (for many, they use the days closing prices). Even still though, some investors use that method to calculate basis, and some don’t. That’s part of the problem. There is no one rule or one method that is being used across the board as a standard calculation. One of the pros of using cryptocurrencies is that it’s unregulated and gives some anonymity. One of the major cons of using cryptocurrencies is that it’s unregulated and gives some anonymity. The crypto exchanges have not been robustly reporting information. Why should they though, they haven’t been regulated or monitored up to this point which is part of the appeal for some people, but part of the problem for other people. Because no one is quite sure how to include exchanges or regulate them, they currently aren’t considered a broker by the SEC.6045 and investors can’t use 1099’s like they would for other situations to help them reconcile their cost basis information. We’re sure at some point quickly in the future new softwares or programs will be developed that can help crypto investors compile their holdings and tax information using exchange data and other public sources of information but right now, we are all still trying to wrap our heads around crypto and it’s still a little bit like the Wild Wild West. It’s still unclear how easy or hard it will be to analyze all the data out there and put it in a readable form that is easy for people to access and understand. It could be an impossibly complex task that results in more cost than anyone can shoulder. Who knows? Chances are, we’ll figure all this out pretty quickly and painlessly. But until we know for sure- it still is left up to the individual investor to calculate their basis and keep track of what is owed for tax purposes. So, we’ve already discussed some of the issues that come up when frequent crypto-to-crypto exchanges happen. But there are also issues that arise that have to do with the actual asset class. They call certain transactions that happen a hard fork, and what that means is that these transactions create a permanent change to the underlying coding in the cryptocurrency’s blockchain. When this happens, it almost always necessitates the creation of a very distinctly separate cryptocurrency. These types of permanent changes to the underlying blockchain coding can happen for different reasons but the fact still remains that once a hard fork happens, there will always be two separate and distinct cryptos afterwards. One crypto will have the old blockchain ledger attached to it and the new crypto will have a new blockchain ledger attached. One school of thought suggests that these hard forks ought to be treated like a traditional stock split. The idea would be that the existing crypto is going to be split in two. This tactic doesn’t seem to be well accepted by the IRS however and the existing Secs 355 and 368 of the United States tax code for corporate securities do not invite cryptos to be recognized as a security. Time will tell if changes to the tax code will be implemented that changes this. Either way though, if an investor takes this approach then they would not instantaneously recognize income on the newly formed crypto. Instead, the basis would be split between the two and the investor would track the market value of both following the split. One could argue that a hard fork offers a receipt of a new asset, which could be helpful in calculating basis. This argument can be made because the assumption is that the new asset or crypto that results after a hard fork will have some different characteristics than the original. This assumption leads one to easily calculate the opening market value of the new crypto and matching initial basis where the original basis of the old crypto would remain unchanged. There has also been one additional school of thought that suggests applying a zero basis to the new crypto following the hard fork. The thought behind it is that no one is sure whether or not a new market for this new crypto will ultimately emerge after a fork and the volatility of the crypto markets makes assigning it an immediate value at inception difficult. That’s why even the American Bar Association Section of Taxation is claiming that all of these factors lead one to believe that there is no value in a new crypto following a fork. If you assign a new value of zero after a fork it creates no taxable income and establishes a basis of zero, which makes accounting simpler. Even still though- having three different schools of thought isn’t helping the whole “streamline processes and rules” aspect of the whole crypto currency market. Whichever method you choose as an investor should be applied to all forks that happen. Establish a solid track record for applying the same principles every time so that the IRS does not misunderstand and think you are jumping back and forth depending on what tax position was going to be most advantageous to you at the time. Who doesn’t like free crypto? We know we do! An airdrop is when users of a blockchain project get a little reward or airdrop of more crypto for participating in the project or helping with ledgers, marketing activities and so forth. This type of transaction is always considered income for tax purposes and will be treated as such. The investor will have to record it as ordinary income when received and will base the market value of the crypto on what it was when they were airdropped additional crypto. It’s a pretty cut and dry scenario that will not create too much confusion. Suffice it to say, the whole crypto currency market and idea is still new and in its infancy and we have a lot to figure out over time. We are sure that governments around the world are itching to figure out a well-defined tax framework so that they can get their piece of the ever-growing pie. At the moment it’s leaving investors a bit confused and left to their own devices on how to best track and report their crypto currencies. For now, we would suggest every investor sit down and figure out which method they want to use consistently to make sure they are fully reporting everything to the best of their abilities. Over time, we are pretty sure that all of these things will be worked out by the powers that be- but until then, you don’t want to be left holding the bag for what would be a very costly mistake that could have most likely been avoided. It is an open question whether ICO tokens count as securities, and whether their issuers must therefore comply with the rules that regulate stock offerings. Regulatory responses vary from country to country, says Preston Byrne, a financial lawyer and cryptocurrency watcher. South Korea banned ICOs last year, as did China, though many carry on regardless. American regulators have taken a cautious approach. In June Jay Clayton, the SEC’s boss, advised would-be ICO-issuers to talk to the agency before proceeding. But William Hinman, the SEC’s director of corporate finance, said later that month that he was not minded to treat ether, Ethereum’s cryptocurrency, as a security, because of its “decentralised” nature. Regulators in jurisdictions such as Switzerland and the Isle of Man have been offering detailed guidance on how to conduct a legitimate ICO.